To lose weight, you have to be in a caloric deficit, which yesterdays post explain in more detail. 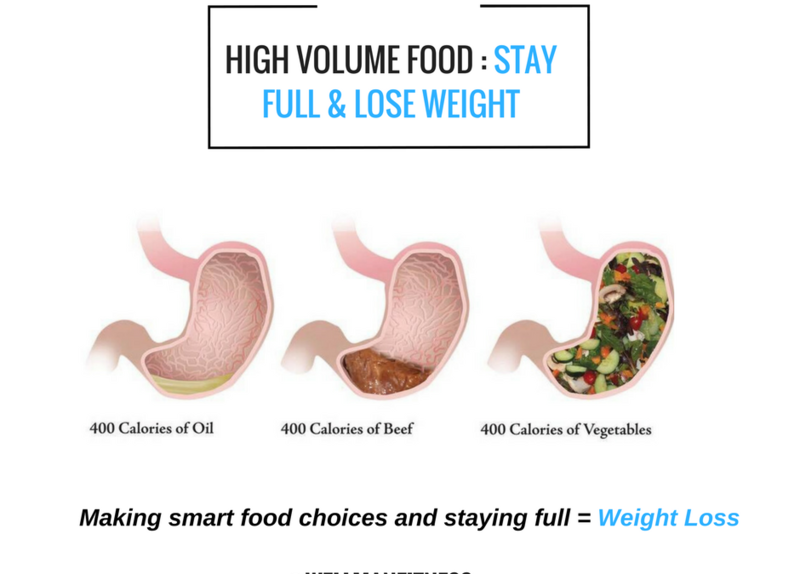 Being hungry is part of the territory when losing weight, its going to happen at some point in your weight loss journey as you are taking in less calories that your body needs. However there are ways to cope with hunger, with making the right food choices, meaning picking high volume foods. You can make your calorie intake stretch a long way if your imaginative and no the foods that give you the most food volume of the calories. I suggest searching for substitutes and and lower calorie alternatives to your favourite foods and see if you can increase the amount of food you are having.